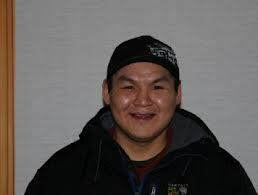 Ashevak Adla - Cape Dorset, born February 22, 1977 His grandfather, Audla Pee, taught him stone sculpture. His early pieces represented birds and seals. Now he is well respected for works depicting polar bears, birds, seals and walrus. He carves mostly serpentine and a harder stone similar in appearance to Jade. 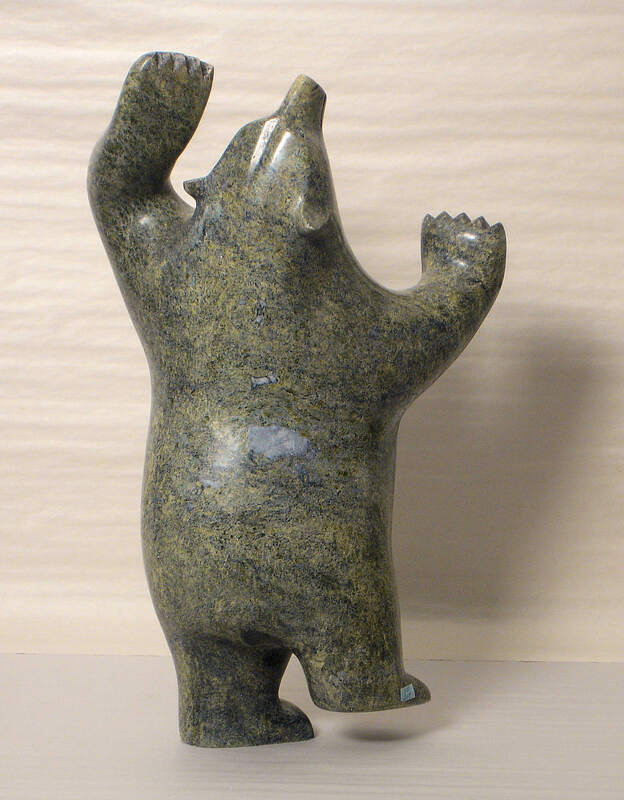 Carved from mottled green Serpentine Stone, and highly polished, this proud bear, rearing in defiance, demonstrates his dominance over the tundra and all its creatures. Rising up as if he growning in the moment, he strains to appear larger, driving off any potential challenges. 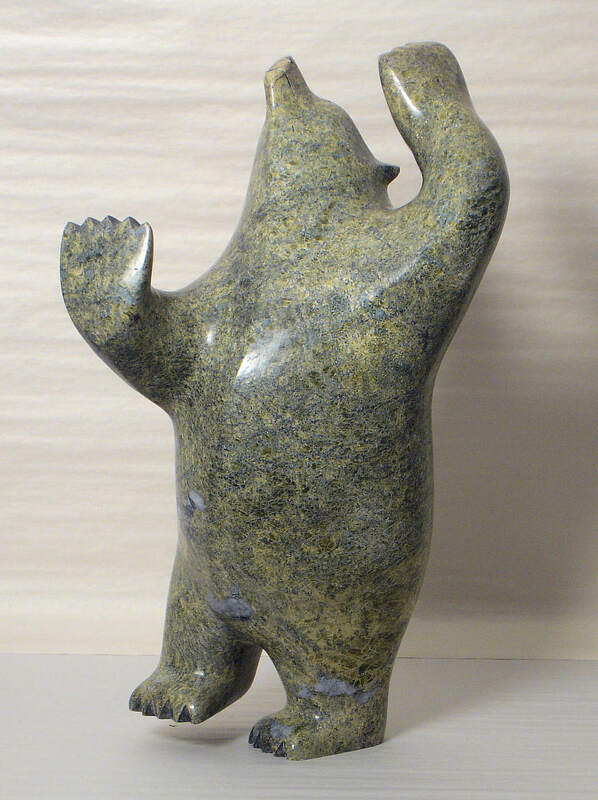 This masterpiece of Arctic art, will enhance and add to the value any collection. From The High Arctic Come Works by the "Masters of the Stone"